I received my order in a very quick and timely fashion. The card rack is everything I expected and is of very high quality. I am very pleased with the company and my purchase. Our exclusive line, The Workshop, is designed and manufactured right in our facility, ensuring customers receive the best for less. We make it. We make it in good quality, at affordable prices, and we ship it same day! What more could you ask for? Why would we stop? The Workshop is our bread and butter. It’s a small part of our larger inventory, but it’s unique because we make it from start to finish. Really, it’s the backbone of our company. 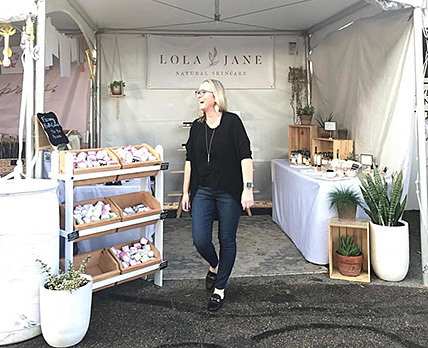 Our Mission: Empower people and businesses to connect with the world by providing a wide variety of easy-to-use, brand-enhancing products and personalized solutions. Merchandising - the type of product being sold is the biggest factor influencing the number of sales, but almost just as important is the presentation of the product. Store supply fixtures and retail displays provide managers with the countertop and floor standing fixtures needed to effectively promote inventory. Our line includes glass display showcases, dump bins, mannequins and much more. Bringing In Customers - The interior of any store can look incredible, but that doesn’t benefit managers and owners if no customers come into the store. Enticing customers through the door is a difficult task, especially in crowded shopping centers. Use custom banner flags, event displays & window signage to start drawing in more customers than you had thought possible. Outdoor advertising is a low cost solution with high revenue results. Floor standing easels are a valuable resource that can display a custom sign and is also portable and lightweight. Controlling Traffic Flow - As it is with any business, there are always products or services with higher overhead than others. Use poster frames, floor standing signs or sign clips to move customers towards the product or service that will bring the most profit. Light boxes are often used in movie theaters, malls and other areas that often use large format posters to advertise. Branding - Who you are as a company is represented through the quality of your goods and services, a commitment to your ethics and your overall identity. Capture the essence of your brand through a recognizable logo printed on a huge selection of fixtures. From custom iPad kiosks to printed trade show table covers,stretch fabric or vinyl booth backwalls or portable standing banners, we've got what you need to get your name on the map. Looking for something in particular and don't see it offered? Please ask! We'll do our best to help you acheive your branding goals. iPad & TV Stands - Digital and interactive signage is constantly increasing in popularity. Kiosks, wall mounts, ceiling hanging displays and television mounts are essential office accessories for meetings and teleconferencing. Customers are more intrigued by digital ads than a standard poster. Timed slideshows help multiple messages reach and broad audience. We offer TV screens with built in slideshow software so owners can create custom presentations. Literature Stands & Holders - Facilities with waiting rooms can benefit from floor standing or wall mount magazine racks. Offer patients or customers literature to read while they wait for their appointment. Convenience & grocery stores also commonly use literature stands to increase point of sale purchases. Provide office visitors quick access to information with a business card display. Trade Show Supplies - We specialize in getting you everything you need to run a successful trade show. Get portable counter booths to easily set up a presentation stand. Utilize our custom graphics department to have an entire booth backdrop printed, or simply print a company logo on a table runner. Accessories like lighting, tables and chairs and utility carts help make any setup a breeze, and help fill out the booth space. Sign Holders - Whether your need is for a wall mount frame to hang a favorite movie poster, or a floor stand pedestal to showcase sale prices and advertise specials, the various options available will meet your needs. The picture frame collection can be used either residentially or commercially, and table tents or place card holders are the ideal choice for restaurant tables and bars. School Bulletin Boards - Showcase papers, student profiles and relevant news alerts in schools and town buildings. Bulletin boards are easy to wall mount in high prominence areas and many displays feature safety locks to prevent tampering. 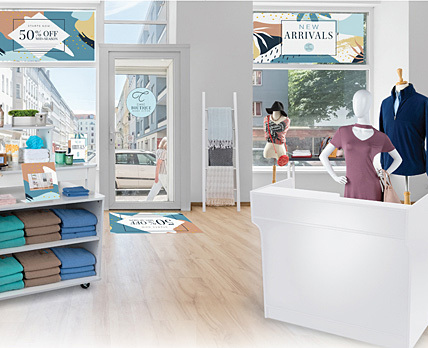 Retail Displays - From impactful marketing with innovative and affordable digital signage to merchandising with fixtures that reflect your store's personality and sell your products, there's a solution here to help ensure your retail business remains successful. We supply current fixtures for the classic storeowner to the super high-tech. 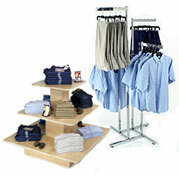 Displays2go has been manufacturing and selling Retail POP display racks since 1974. This ever-expanding product line includes over 9,000 unique units such as display racks, frames for posters, magazine displays, trade show booths, banner stands, Lucite frames, TV wall mounts and digital poster frames all ready for immediate shipping. Displays2go specializes in literature holders, lecterns & podiums, bulletin boards, restaurant supplies, store fixtures, clothing racks, book display stands & much more. As a leading POP display manufacturer, most orders ship within 24 hours. In-stock orders placed before 3PM EST(M-F) ship the same day. We pride ourselves on a large staff of live customer service representatives available to process orders and answer product questions. Our on-site design team can quote and prototype custom POP and retail display concepts in days. Having a source to quickly obtain custom graphics can really help any business excel. As a POP display manufacturer, we have the resources and skills to deliver quality products and services without sacrificing affordability. Along with custom graphics, we offer an extensive line of countertop and floor standing merchandising. Some of these acrylic tabletop stands include jewelry cases, food covers, and literature holders, which are prevalent in most retail environments and trade show events. 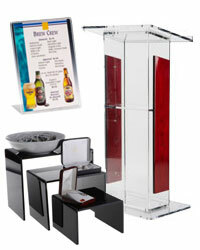 Also check out presentation stands designed for floor use like poster stands, TV mounts and portable easels. View our site directory map to see a detailed breakdown of our vast line of quality display products. 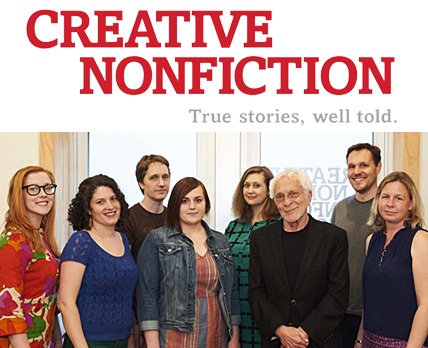 Interested in working with us? Check out our job postings!